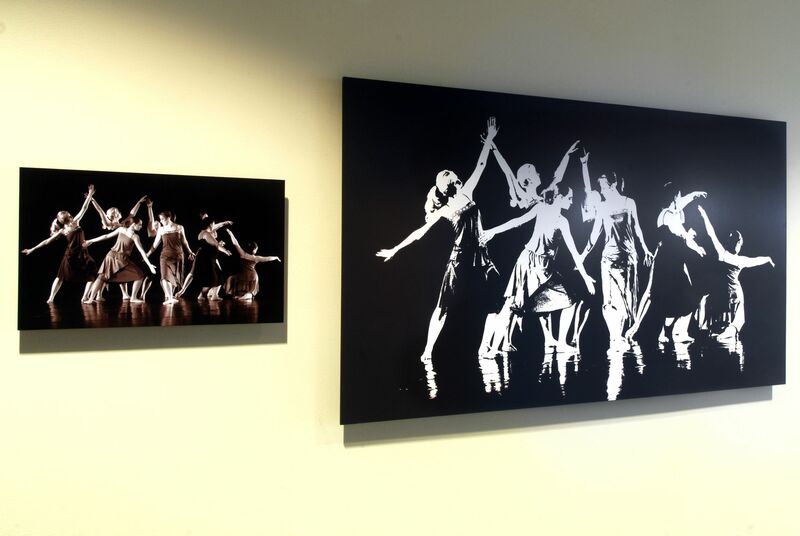 Custom decor - Design Photography, Inc. 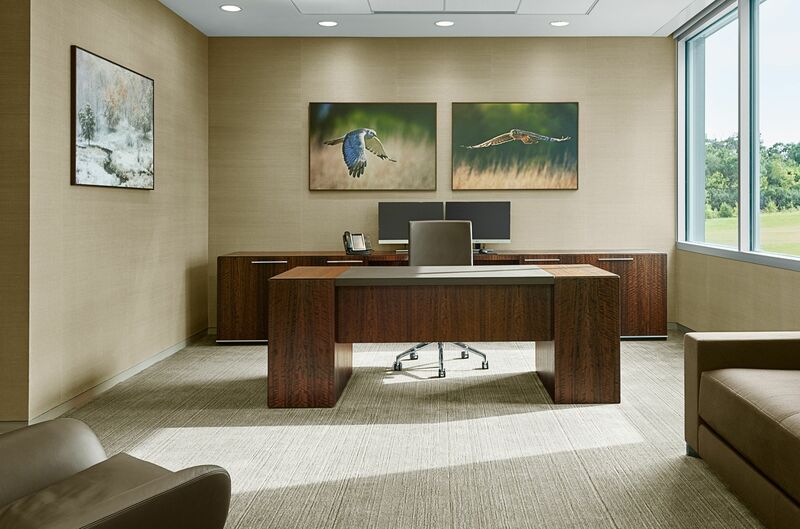 Since its inception Design Photography has created countless photographic installations for facilities like banks, colleges, commercial buildings, and showrooms. 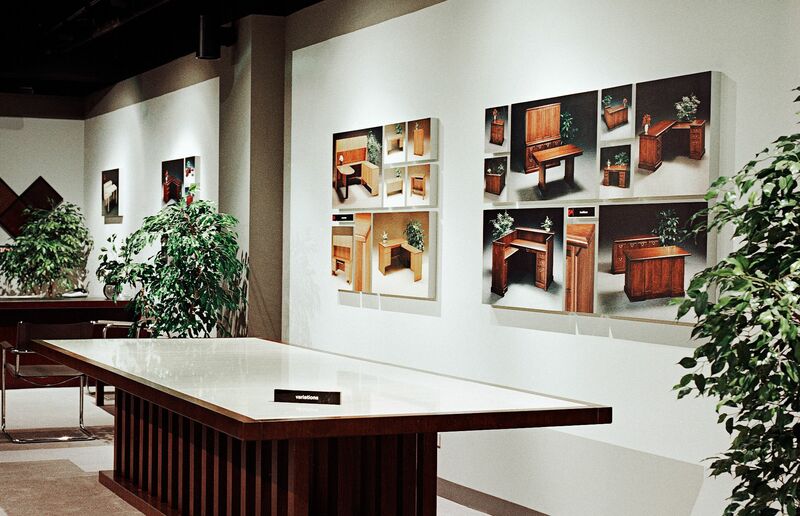 Whether the intent is to create pleasing decor from local scenes or highlight products and services, the options for presentation and finishing are infinite. 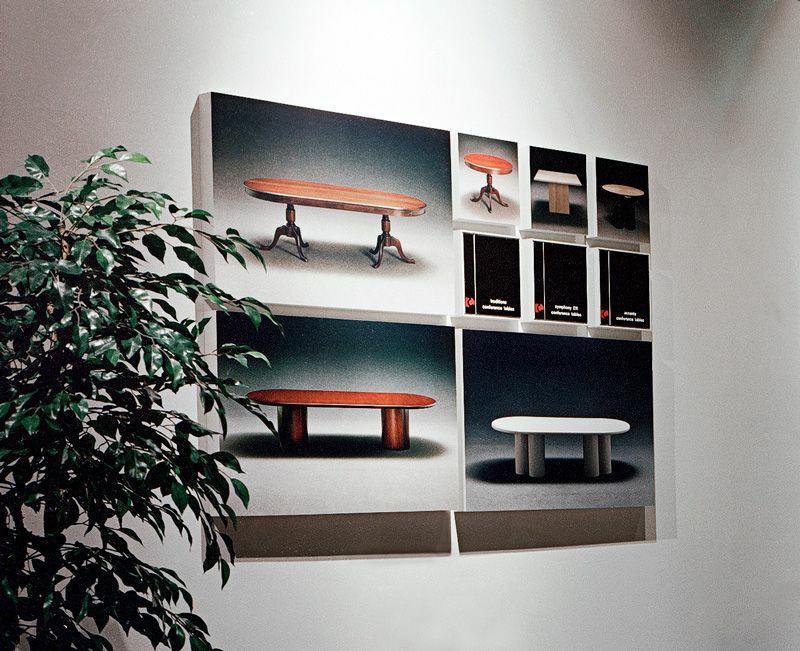 We are always excited to explore new and innovative material and concepts that bring spaces to life. 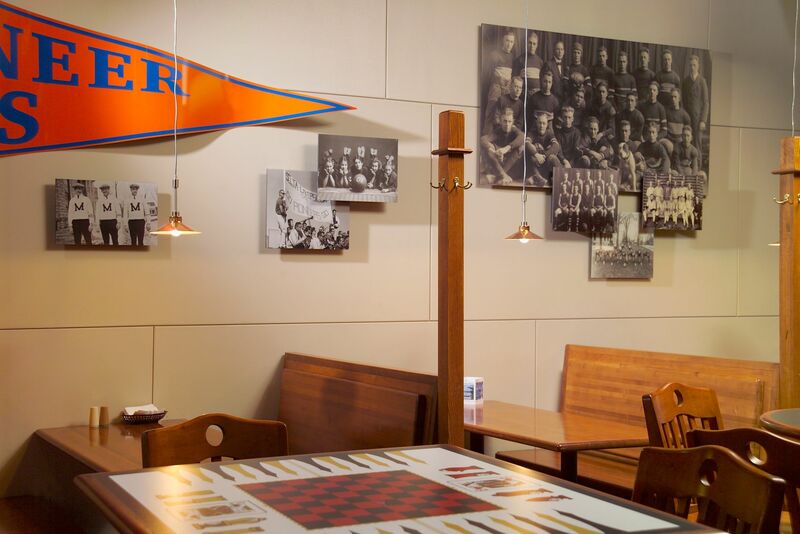 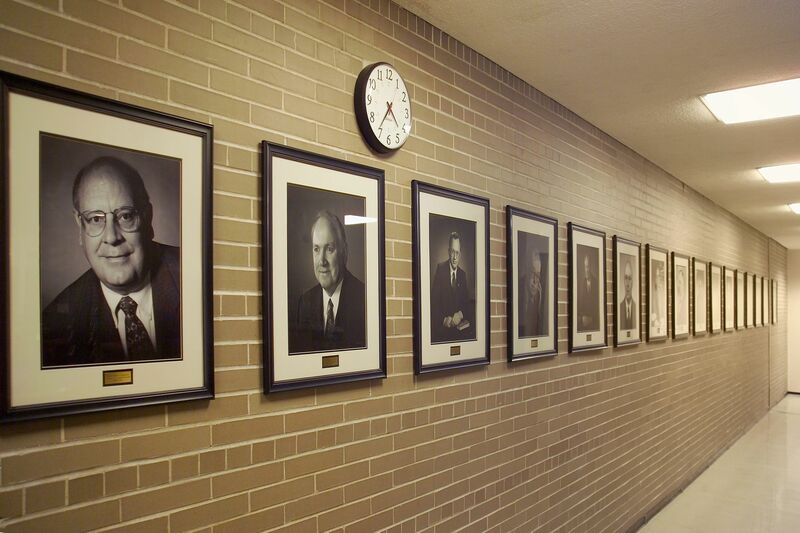 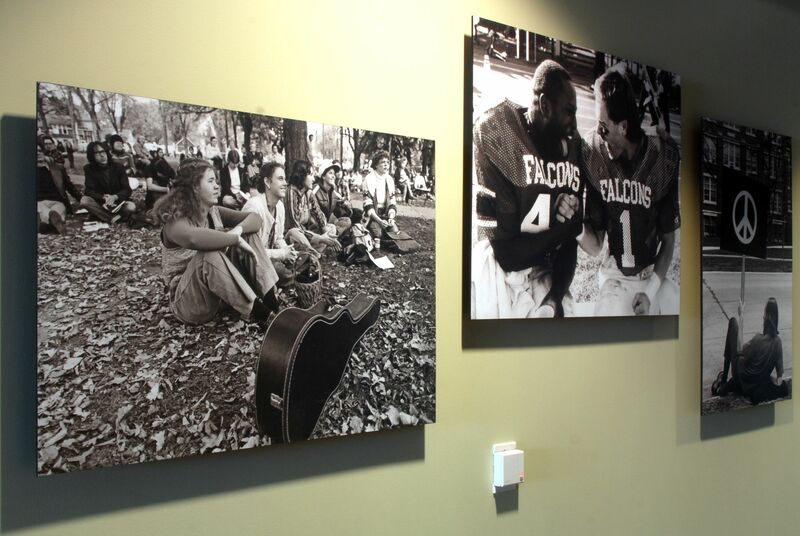 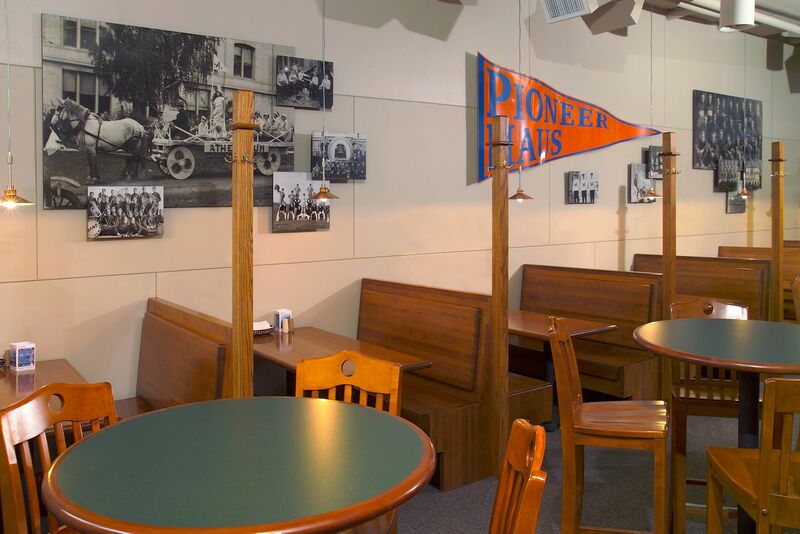 From a Chancellor's wall to a student lounge, Design Photography has helped the University of Wisconsin with many decor projects that involve both traditional framing as well as custom box frames and simple stand-off blocks. 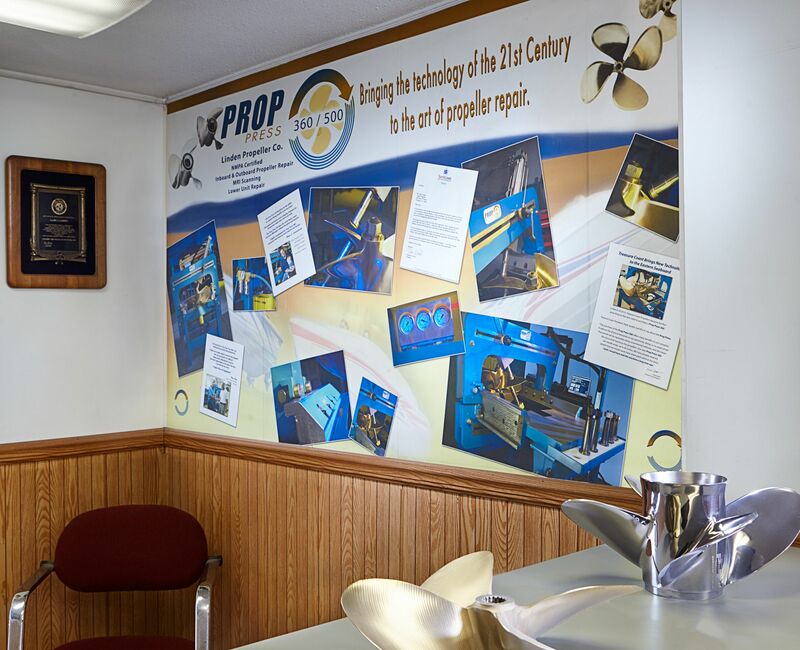 Self adhesive repositionable material was used to create wall art that promotes products designed and built by Linden Propeller Company. 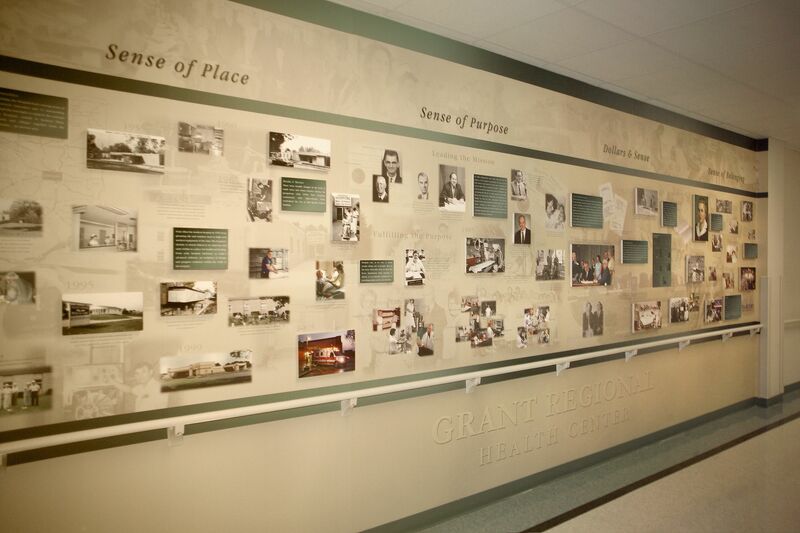 The mural is comprised of photos and copy that highlight the product as well as testimonials from satisfied customers. 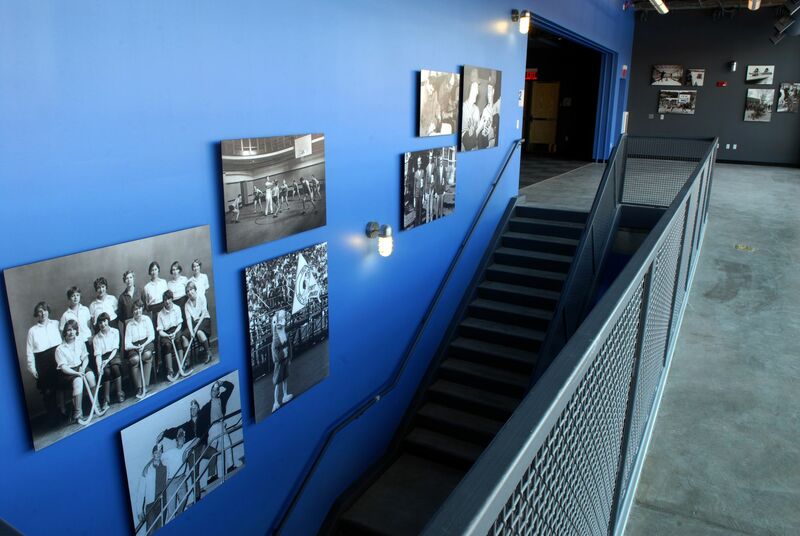 The final product was coated after installation to increase durability. 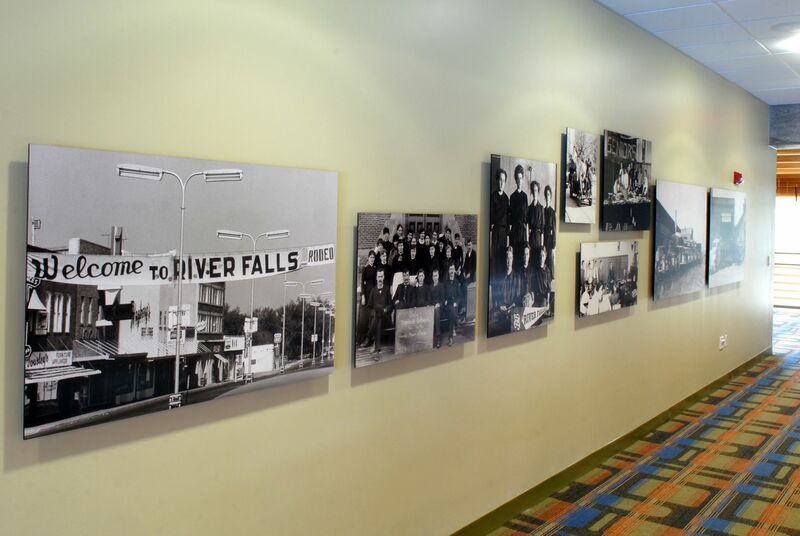 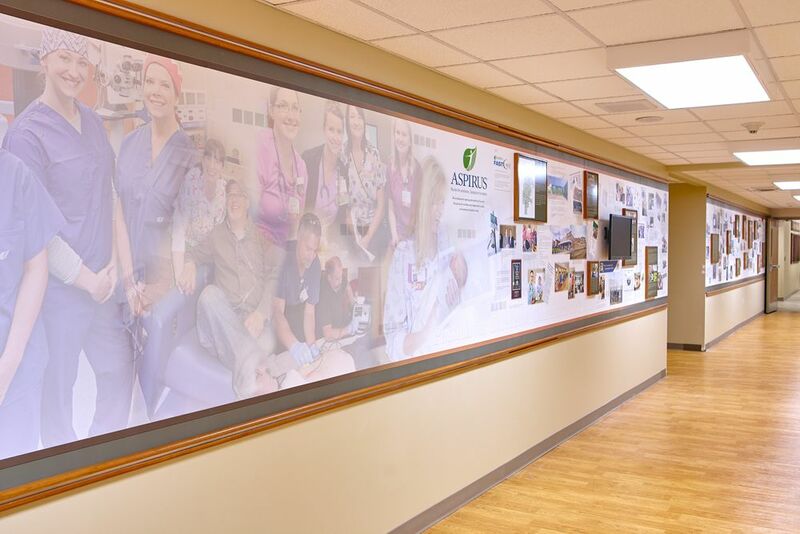 Photo inkjet wallpaper is the background for this fifty foot history wall installed at Aspirus Hospital in Medford, WI. 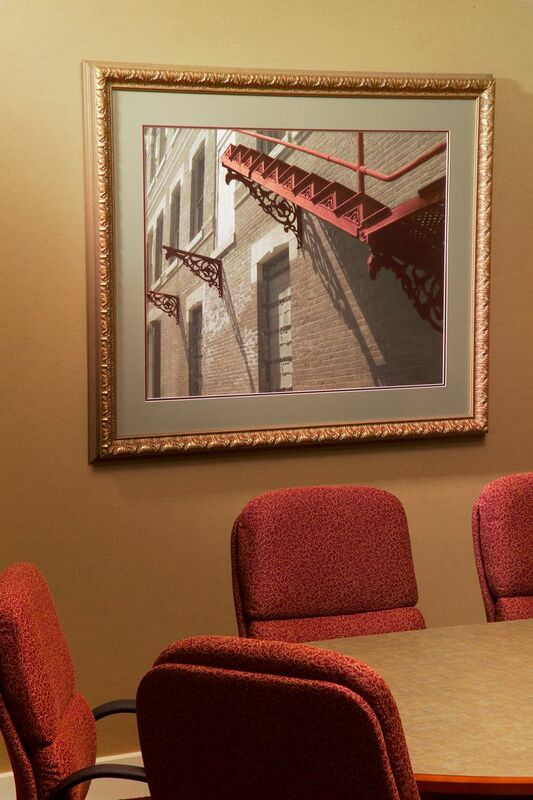 Framed prints create a third dimension and a means to highlight special information and photos. 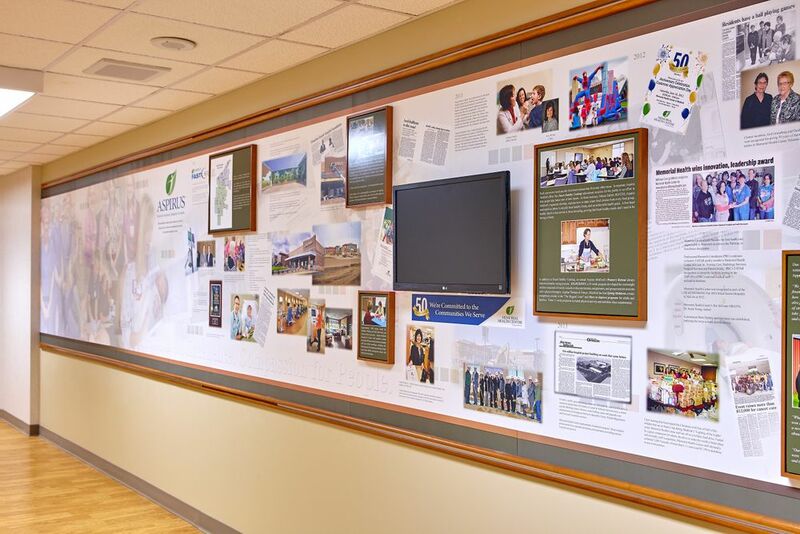 Incorporating a monitor into the wall allows for changing and current information to be displayed. 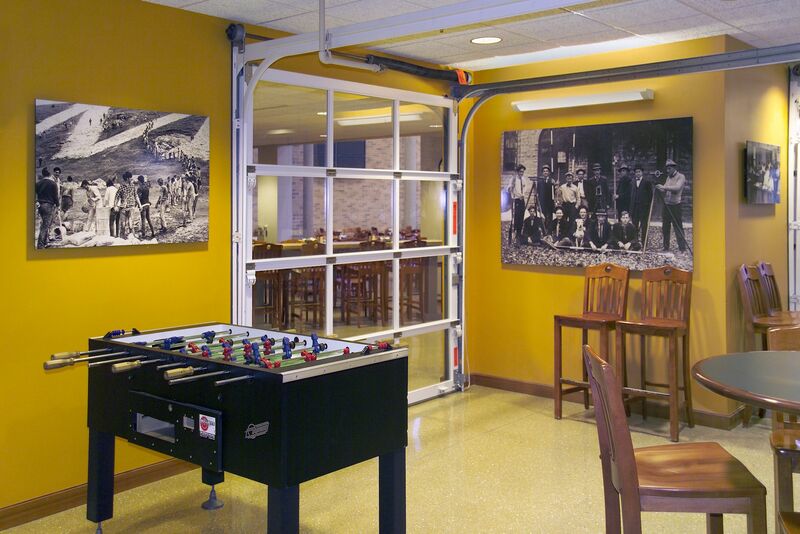 The trim and frames are custom designed and built to match or compliment existing decor. 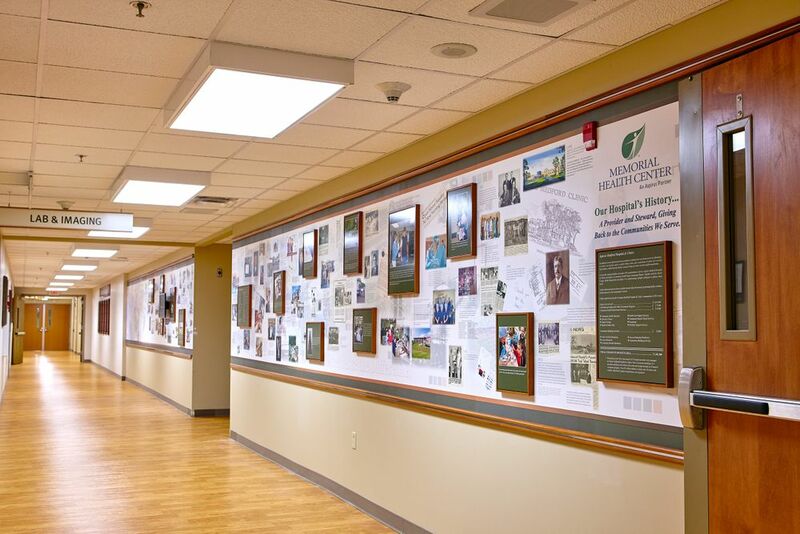 The last thirty percent of the wall was designed with images of staff in order to have room for future expansion as history is made. 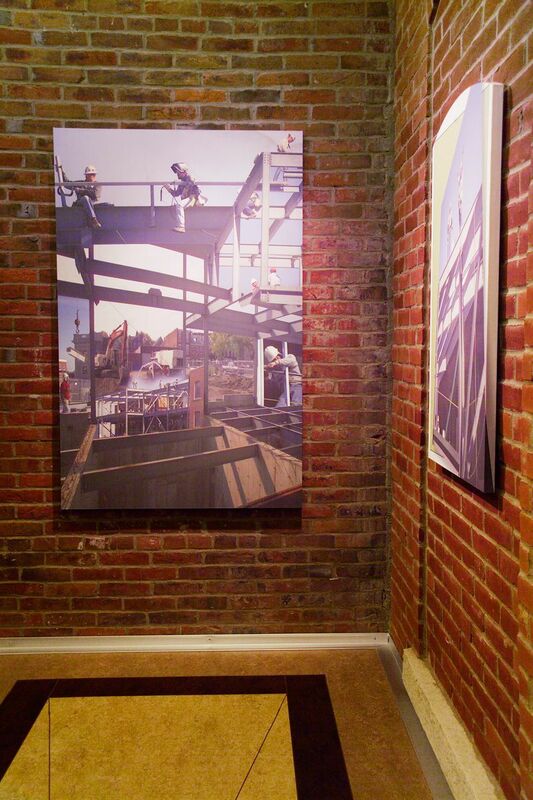 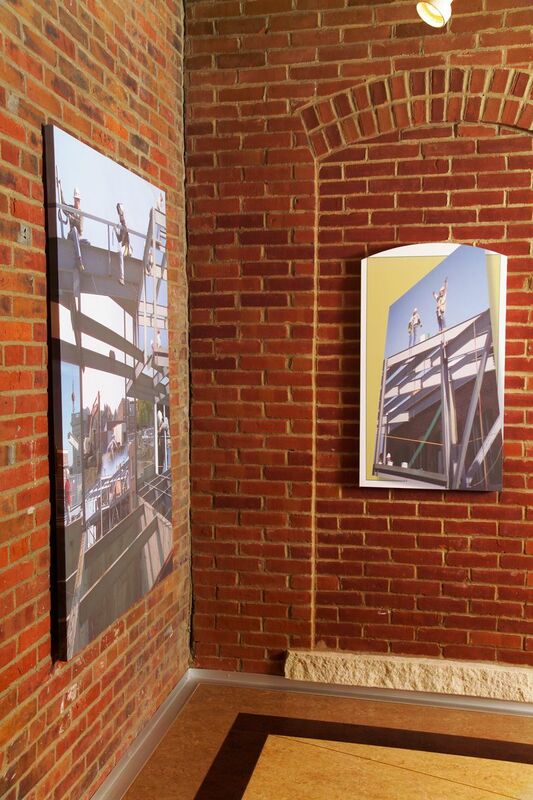 The entire project was coordinated, designed, produced, and installed by the staff and suppliers of Design Photography. 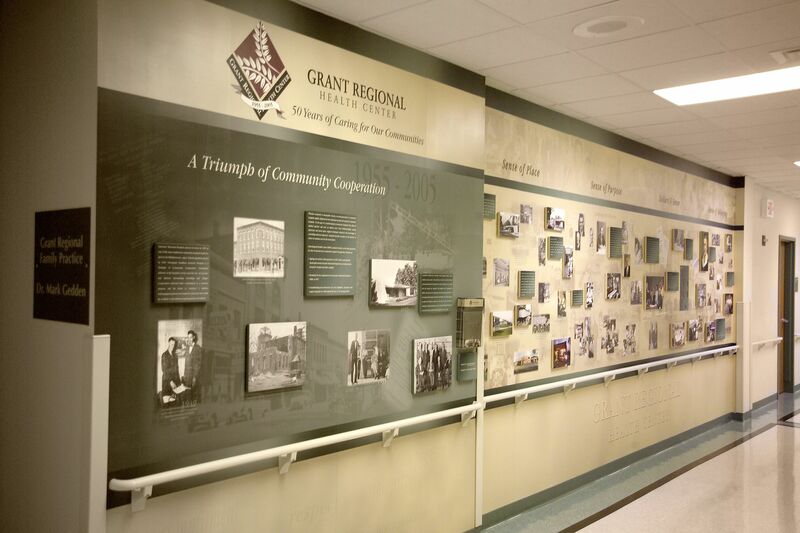 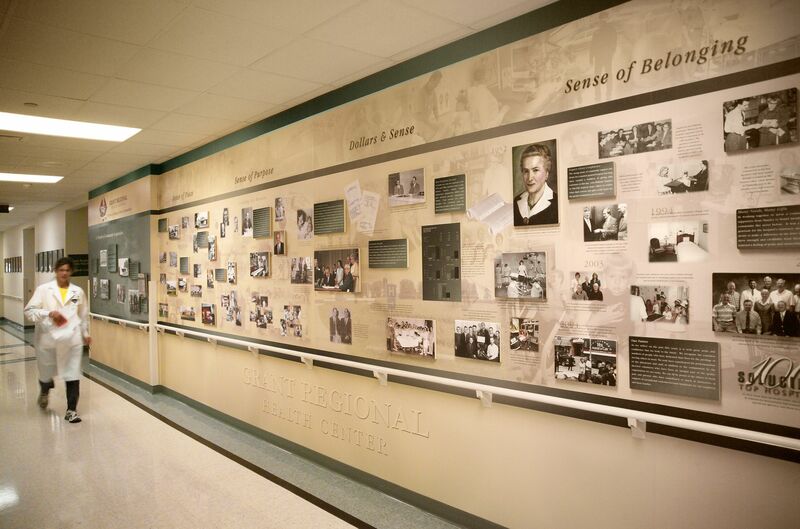 This thirty foot wall mural, running floor to ceiling, highlights the history of Grant Regional Hospital and the role it plays in the community. 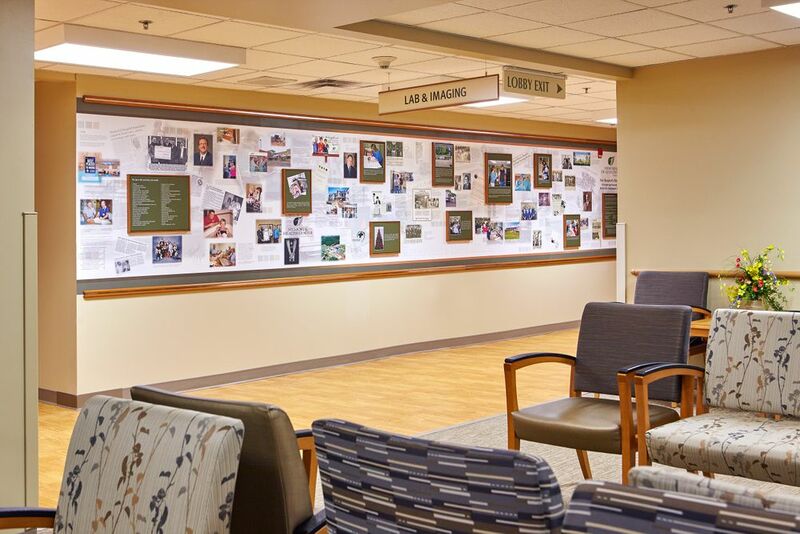 Located in the main corridor of the hospital it becomes an important form of communication as well as an interesting diversion for visitors. 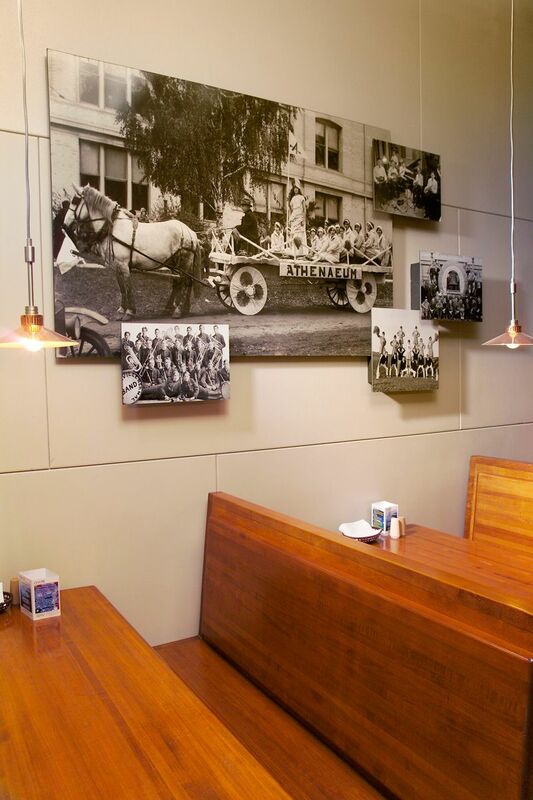 The mural is printed on photo wallpaper and coated for protection and longevity.